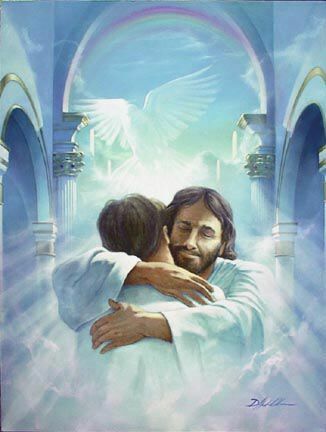 Our Lord and Savior loves us, all of us, enough that he came to earth and died for our sins so that we could be with Him in eternity. That is the greatest gift given to anyone and it costs you nothing! You don’t have to give up anything to get it but you will. Your old life will be foreign to you once you come to Jesus. So will your old friends and the things that your once did that you thought were “cool”. You will find new friends and new things to do and your spirit will show you exactly how to do these things. I know that there are temptations that try to lure you away from going to church or giving your life to Christ and these are hard to say “no” to, but if you want your life to truly have meaning you must! You are special to God because He formed you in the womb and He knew you before the foundation of the world. He knows you more intimately than anyone else and He loves you for who you are, not for your money or how you look or anything else that the world may say. “God demonstrates His own love toward us, in that while we were yet sinners, Christ died for us” (Romans 5:8). This verse is one of the first steps that we need to take in believing that Jesus loves us and died for our sins. No other “god” would do this or has done this, ever! There have been others who have claimed to be “god” but they are not and all of them are dead. Jesus is alive and will be forever. Trust and believe in the only Son of God because He is the only way to Heaven and eternal life.